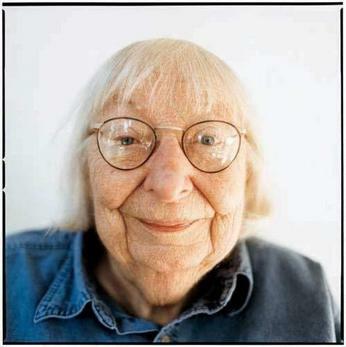 In 2005, in collaboration with Jane Jacobs, a small group of accomplished urbanists and activists founded The Center for the Living City to build on Ms. Jacobs’ work. The Center’s purpose is to expand the understanding of contemporary urban life and inspire civic engagement and creative responses for the urgent advancement of social, economic and environmental justice. 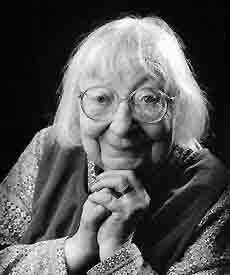 Jane Jacobs (1916-2006) was an urbanist and activist whose writings championed a fresh, community-based approach to city building. 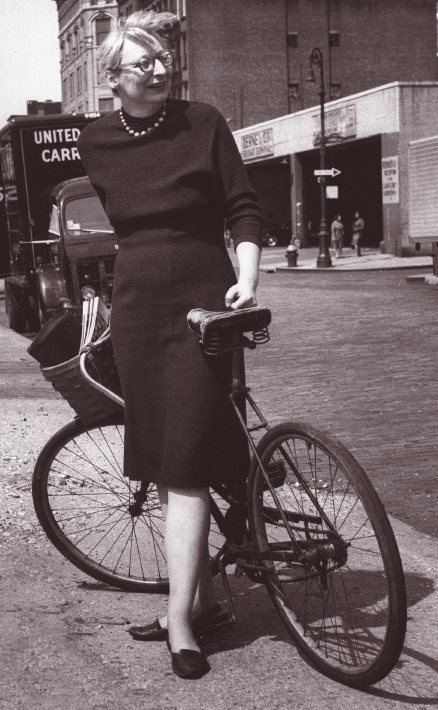 She had no formal training as a planner, and yet her 1961 treatise, The Death and Life of Great American Cities, introduced ground-breaking ideas about how cities function, evolve and fail. The impact of Jane Jacobs's observation, activism, and writing has led to a 'planning blueprint' for generations of architects, planners, politicians and activists to practice. Jacobs saw cities as integrated systems that had their own logic and dynamism which would change over time according to how they were used. With an eye for detail, she wrote eloquently about sidewalks, parks, retail design and self-organization. She promoted higher density in cities, short blocks, local economies and mixed uses. Jacobs helped derail the car-centered approach to urban planning in both New York and Toronto, invigorating neighborhood activism by helping stop the expansion of expressways and roads. She lived in Greenwich Village for decades, then moved to Toronto in 1968 where she continued her work and writing on urbanism, economies and social issues until her death in April 2006. A firm believer in the importance of local residents having input on how their neighborhoods develop, Jacobs encouraged people to familiarize themselves with the places where they live, work, and play. Dark Age Ahead, Random House, 2004. The Nature of Economies, New York: Modern Library/ Random House, 2000. A SCHOOLTEACHER IN OLD ALASKA: The Story of Hannah Breece, Owen Sound, Ontario: Ginger Press, 1995. Systems of Survival: A Dialogue on the Moral Foundations of Commerce and Politics, New York: Random House, 1992. Cities and the Wealth of Nations, New York: Random House, 1984. A Question of Separatism: Quebec and the Struggle over Sovereignty, New York: Random House, 1980. The Economy of Cities, New York: Random House, 1969. The Death and Life of Great American Cities, New York: Random House and Vintage Books, 1961. Ideas That Matter: The Worlds of Jane Jacobs, edited by Max Allen, Owen Sound, Ontario: The Ginger Press, 1997. “Downtown is for People,” Fortune, April 1958. “Putting Toronto’s Best Self Forward,” Places, 7:2. “Market Nurturing Run Amok,” Openair-Market Net, October 1995. “Why TVA Failed,” The New York Review of Books, vol 31, no. 8, May 10, 1984. Essay on Charles Dickens’s Hard Times, in The New York Review of Books, 48 (12), July 19, 2001. Introduction to the new edition of Hard Times, by Charles Dickens, New York: Modern Library, 2002. Introduction to the new edition of The Jungle, by Upton Sinclair, New York: Modern Library, 2002. Introduction to the new edition of Innocents Abroad, by Mark Twain, New York: Modern Library, 2003. Opened in theaters April 21, 2017. Directed by: Matt Tyrnauer Chronicle of activist Jane Jacobs' battle with developers who threatened to demolish NYC's most historic neighborhoods and a lesson in the power of the average person to push back. This is a story about our global urban future, in which nearly three-fourths of the world’s population will live in cities by the end of this century. It’s also a story about America’s recent urban past, in which bureaucratic, “top down” approaches to building cities have dramatically clashed with grassroots, “bottom up” approaches. Around the world today, among rising powers such as China and India, new mega-cities are being built “top down,” with little or no input from those who inhabit them, or from the communities who have been displaced to make way for their construction. By bringing back to life the struggles and battles over urban planning in the 20th century United States, Citizen Jane: Battle for the City shows that anti-democratic approaches to city planning and building are fundamentally unsustainable; a grassroots, “bottom up” approach is imperative to the social, economic, and ecological success of tomorrow’s global cities. The film highlights Jane Jacobs’ magisterial 1961 treatise The Death and Life of Great American Cities, in which she single-handedly undercuts her era’s orthodox model of city planning, exemplified by the massive Urban Renewal projects of New York’s “Master Builder,” Robert Moses. Jacobs and Moses figure centrally in our story as archetypes of the “bottom up” and the “top down,” respectively. They also figure as two larger-than-life personalities: Jacobs—a journalist with provincial origins, no formal training in city planning, and scarce institutional authority seems at first glance to share little in common with Robert Moses, a high prince of government and urban theory fully ensconced in New York’s halls of power and privilege. Yet both reveal themselves to be master tacticians who, in the middle of the 20th century, became locked in an epic struggle over the fate of the city. In three suspenseful acts, Citizen Jane: Battle for the City gives audiences a front row seat to this battle, and shows how two opposing visions of urban greatness continue to ripple across the world stage, with unexpectedly high stakes. We are continually gathering articles and materials for this collection, so check back often. We invite you to contribute to this collection by emailing info@centerforthelivingcity.org. Studies in Emergent Order & Organization, Vol 4/ Issue 2+3, Cosmos & Taxis. In with the old, out with the new, Macleans. Brian Bethune, August 6, 2009. "Jane Jacobs, Social Critic Who Redefined and Championed Cities, Is Dead at 89", New York Times, 2006. "Jane Jacobs, Robert Moses And City Planning Today", Gotham Gazette, 2006. Lowry, Christopher, "Jane Jacobs: Prophet of Globalization? Yes, but with a (Local) Human Face", Behind the Headlines . vol. 55. no. 2. January-Mary 1998. Saunders, Doug, “Citizen Jane,” The Globe and Mail, 11 Oct 1997. Kapusta, Beth, “How Jacobs Changed a City,” The Globe and Mail, 11 Oct 1997. Hume, Christopher, “Jacobs sees humanity among urban concrete,” Toronto Star, 18 Sep 1997. Martin, Sandra, “An urban legend,” Maclean’s, 20 Oct 1997. Barber, John, “Jacobs embraced as economic guru,” The Globe and Mail, 15 Oct 1997.
http://www.pedestrians.org Jane Jacobs gives a half hour talk at the National Building Museum after receiving the Vincent Scully Prize on November 11, 2000. Jacobs was the author of "The Death and Life of Great American Cities". By John Z Wetmore, producer of "Perils For Pedestrians". You can find the full transcribed text here, thanks to Chris Bradshaw. From CBC TV's "The Way It Is" program, circa 1969, urbanist and author Jane Jacobs comments on late 1960s Toronto and Montreal on how they have been planned and built, while condemning major highways planned for GTO. "[T]he New Urbanists want to have lively centers in the places that they develop, where people run into each other doing errands and that sort of thing. And yet, from what I've seen of their plans and the places they have built, they don't seem to have a sense of the anatomy of these hearts, these centers. From Ric Burns' masterful PBS documentary about New York City comes this inspiring David and Goliath story of the battle for human scale neighborhoods. If only we'd had a Charleston version of Jane Jacobs in the 60s. Jane Jacobs: Parting Words captures urban thinker, writer, and activist Jane Jacobs (1916-2006) in her final public appearance in Portland, Oregon. On tour to promote her book, DARK AGE AHEAD (2004), Jacobs discusses the imperative for culturally diverse and innovative cities, among numerous other issues. Jane Jacobs Interviewed by Jim Kunstler, September 2000. Urban planning guru Jane Jacobs on the traps we set for ourselves, by Anne-Marie Tobin, Canoe, March 27, 2000. The Convention Follies, Part 5: A Conversation with Jane Jacobs, by Hank Bromley, ARTVOICE, vol 11 num 30, July 27, 2000. 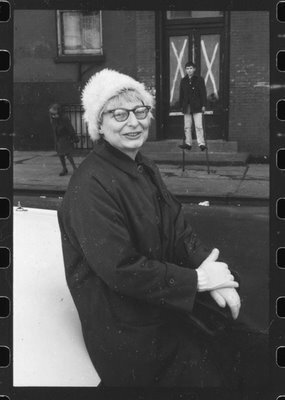 City Views: Urban studies legend Jane Jacobs on gentrification, the New Urbanism, and her legacy, by Bill Steigerwald, Reason Magazine, June 2001. Urban Economy and Development: Interview of Jane Jacobs, by Roberto Chavez, Tia Duer, and Ke Fang, The World Bank Group, February 4, 2002. Cities and Web Economies: Interview with Jane Jacobs, by Blake Harris, The New Colonist, December 1, 2002. It’s Everyone: A Panel Discussion with Jane Jacobs, Olivia Chow, Joan Doiron, Marilou McPhedran, Lisa Salsberg and Sue Zielinski.